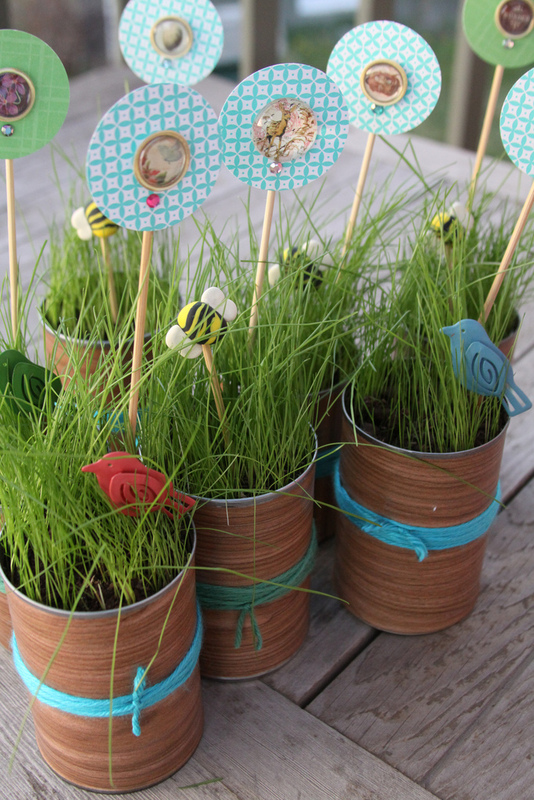 With the leftover Crafty Night favors I had on hand--(Mini Lawn in a Can)--, the girls & I decided to give them as Easter/Spring gifts to their teachers this week. 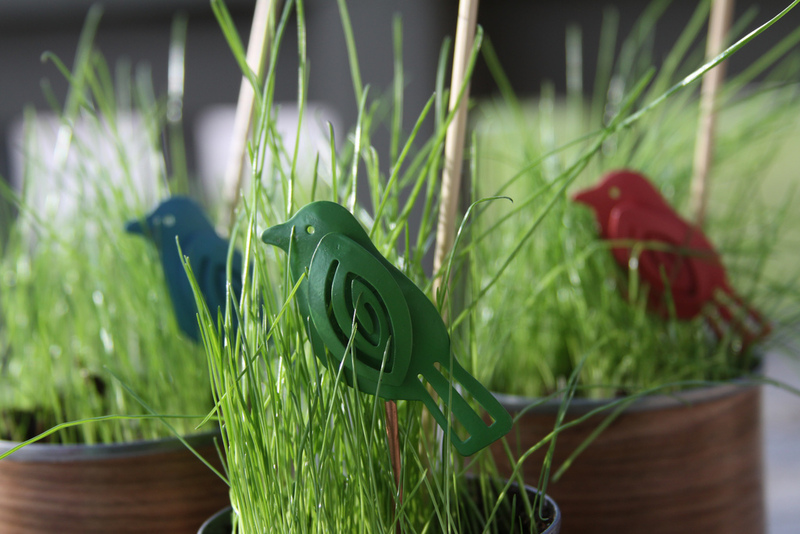 I found these adorable little plant stakes in the dollar section of Target to dress up the cans even more. BUUUUUT, when I came home, I realized that I hadn't purchased enough. 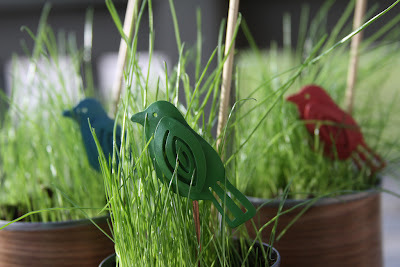 So, I scrambled to come up with another cute grass accessory. 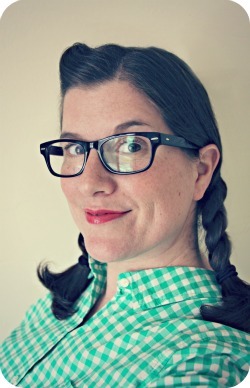 Polymer clay to the rescue! 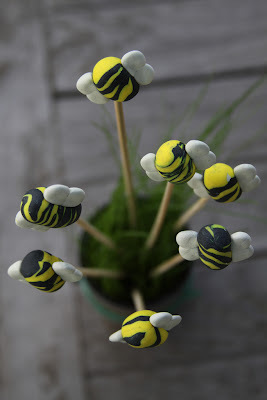 These abstract chubby bees did the trick. I simply twisted black & yellow clay & molded it into an oval shape & attached white wings. I baked them in the oven per the directions on the clay WITH the bamboo skewer attached. Snip the skewer to desired height & you're done! 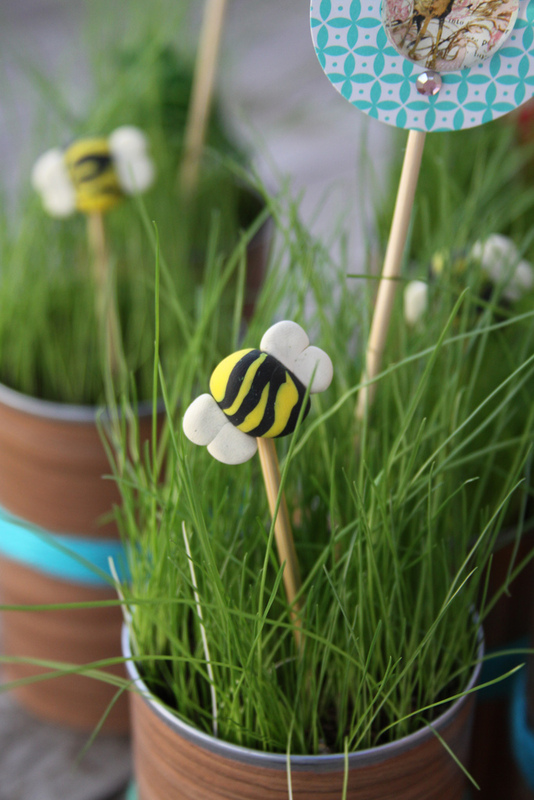 I do think I may use a little hot glue to permanently attach the clay bee to its wooden mate though. There you have it. The birds & the bees. Oh my! Soooo sweet. I want a whole hive. We have a referral coupon waiting for you. Please email us at orders@designerblogs.com and we'll send it your way. Once again...you have inspired with me the just "the thing" I needed! I am working on a bee themed table for a ladies tea at church and the little bee planter stakes are just the ticket to add as a little favor. thanks again friend!